Order the film download here for $9.99. Order the MP3 audio download here for $4.99. 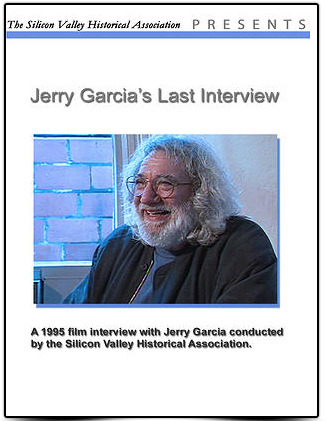 On April 28, 1995, the Silicon Valley Historical Association filmed what turned out to be Jerry Garcia's final filmed interview. Jerry talks about his early days as a musician, playing the blues for black audiences for food, LSD, living in his broken down Cadillac and some of the characters that helped him become a world-class musician and leader of the Grateful Dead. Parental guidance is suggested for some profane language and the discussion of drugs in this film interview.